We've compiled a list of ten must see films for CIFF 2015. 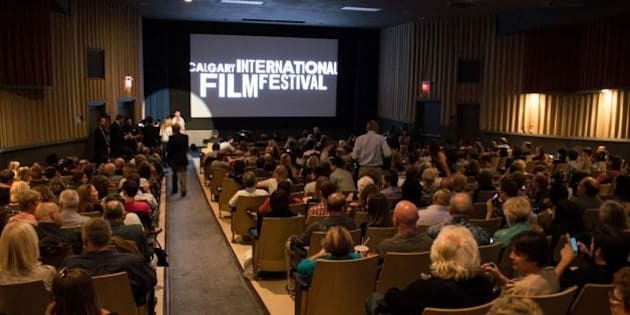 The Calgary International Film Festival (CIFF), will showcase over 200 multi-genre films, from over 40 countries this year, from Sept. 23 to Oct. 4. The first CIFF was held in 2000, and was attended by 8,000 people. In 2014, the festival reported nearly 30,000 attendees. This year is expected to be even bigger. The festival, now in its 16th year, has more than just film screenings to offer — there will be gala events, award ceremonies, filmmaker Q&As, industry talks, special events, and, of course, a red carpet at the festival's opening gala and VIP pre-reception. That being said, the stars of CIFF are, of course, the exciting and compelling films, many of which are having either their Alberta or world premieres. We've compiled a list of ten must-see films for CIFF 2015. Tickets and passes, as well as the complete program and schedule for the festival are available at calgaryfilm.com.